This is, of course, very similar to how humans learn. 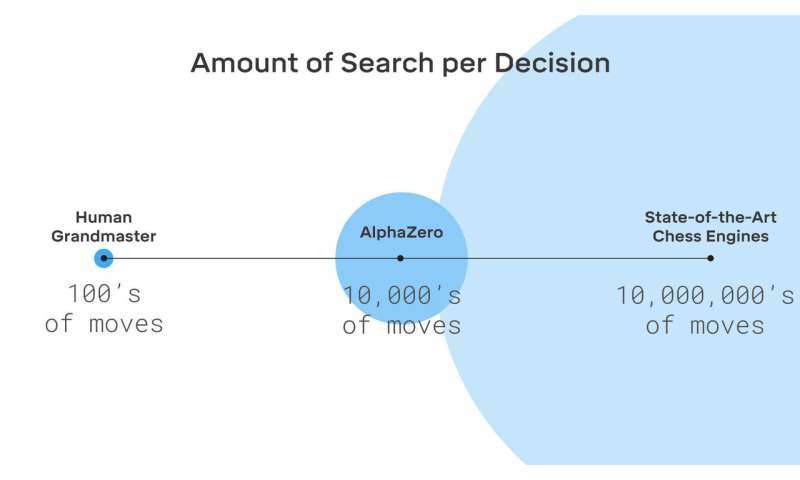 It makes random iterations of the games to find the winning strategies, computing the equivalent of thousands of years of human playing time to randomly walk around the problem space. The Monte Carlo search engine is also about using probabilities - throwing a random number to pick which one of the previously identified winning strategies to use instead of evaluating all of them. That allows a speed-up in searching, which allows the designers to increase the database size to include millions of pre-computed games more in the computer's memory. This isn't at all like how humans learn or operate. This is a blind robot chicken pecking really fast until it finds most of the seeds. We need a new term to say, "Doing a dumb thing fast enough that nobody notices you're doing it.". The term "Artificial Intelligence" gives the wrong impressions about it. Many strong chess programs can be beaten by contemporary openings that post date their programming. For example, I've beaten some with the "Grand Prix" opening when it was first developed. So, it's probably more accurate to say these are programs that play like us. When the "AI" starts developing its own openings, then that will be something to call intelligent. 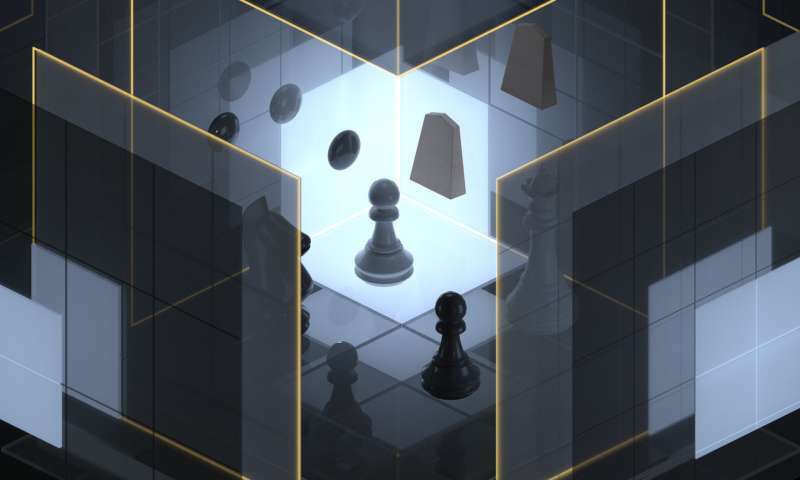 Several games, chess included are considered solved because every possible move and reaction can be computed. Go has more possible board states, but was considered solved some time ago as well by that Google AI. Brute force goes a long way. I would love to see a time when such a system can actually win money playing poker. 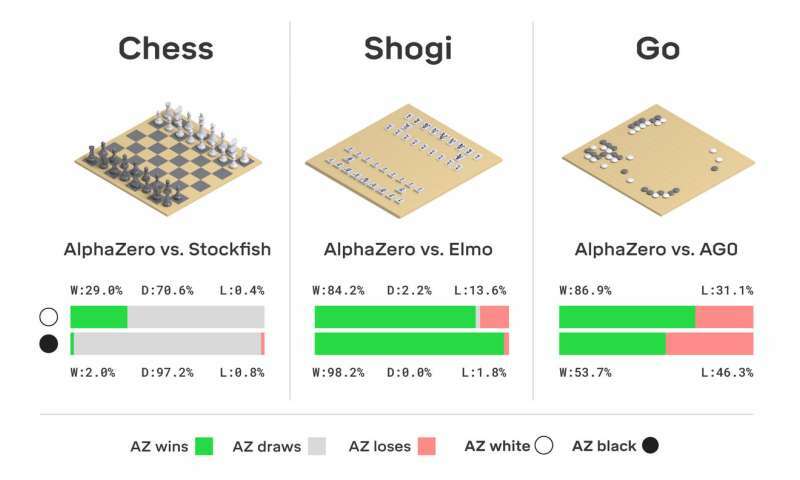 AlphaZero did develop all the standard chess openings itself. It started with nothing but the rules. It quickly developed the French Defence and it was its most used opening in the first 2h of playing itself. It then found the Caro-Kann which became it's most used for the next while. Later it discovered the English Opening and the Queens Gambit. The English Opening and the Queens Gambit became it's most used (favourite, ha, ha) openings. It does have an 'alien' style of play. ...albeit the approach is clever disguise, and may well pave the way for much refinement in actual AI, as inelegant as it is beneath the surface.